Have you begun writing your college essay yet? I appreciate that writing your college essay in the summer is a major buzz kill, but if you start one now, you'll thank me in the fall when it's application crunch time. To inspire you, I've asked some of the very people who must slog through college essays every year to provide tips on writing winning application essays. • I have old hands. • I change my name each time I place an order at Starbucks. • As an Indian-American, I am forever bound to the hyphen. • Some fathers might disapprove of their children handling noxious chemicals in the garage. Most students think of their college essay as a major motion picture. They feel they need to cover the highlights (or, too often, the tragedies) of years of experience. The problem is that to write about a life in 500 words will result in a cinematic long shot. We in admission offices see little tiny figures dancing on the horizon but they are far too far away for it to be personal. It is a shadow play that even Plato would be wary of. I tell students it is not a movie they are making but a Nike ad. The time it takes me to read 500 words is about the time it takes me to watch a Nike ad. Can I hear, see, touch, taste, and sometimes even smell what the world they live in is like? Not the whole world but a thin slice. Make a moment represent something bigger. The universal is in the particular as the poets would put it. Tell a good story. Show me why you are a thoughtful person, don't tell me you are. Be genuine. Don't try to impress me or second guess what I want to hear. Just tell me what is important to you. Don't rely too heavily on "how to" books. Use them to get your creative juices flowing, but don't adhere too rigidly to their formulas. We've read most of the suggested topics! Before setting pencil to paper (or fingers to keys), try out your essay as an oral story to family or friends. Encourage clarifying questions and watch for facial and body language to identify where your essay may need work. Constructing your essay verbally at first allows you to become comfortable with your ideas without being distracted by the mechanics of writing. Also, focus on what's personally important instead of what's impressive, in your essay. The idea isn't to write an epic story. A behind-the-scenes glimpse into who you are, how you think, or what you stand for is far more compelling. Admission committees know you are a work in progress; otherwise, you wouldn't be applying to college. • Is the topic of my essay important to me? •Am I the only person who could have written this essay? 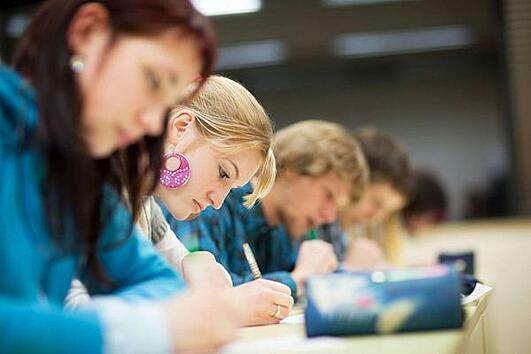 The staff members of Chicago Academic understands the pressure students have preparing for college essay. You'll feel more relaxed and confident when you tackle the college essay after you've had coaching from our staff at Chicago Academic. Don't hesitate to make sure you're ready for the college essays.